Is there a prettier site than a colorful antipasti platter? Antipasti platters are one of the ultimate ways to make a statement on a beautiful table with zero hassle. This my friends is the anatomy a perfect antipasti platter. Back in my waitressing days, I had the pleasure of working at a super busy Italian restaurant in a pretty uppity neighborhood in Chicago. As a waitress putting myself through college, Saturday nights were gold. That was the night to make the money count. That was the night that we could walk out with as much cash as we had made in 3 days combined. Nothing mattered as much as Saturday nights did. On Saturday nights the restaurant had a different vibe. All the large cakes were on display for everyone to see in an attempt to lure their sweet teeth to talk for them, a live piano show was always happening in the bar hopelessly playing over the uproar of guests yelling out martini and wine orders to the bartender. Us waitstaff we all had our tricks. We all had our ways to get the guest on our side in an effort to get the highest gratuity possible. But the best servers knew that in order to get the highest check totals you had to sell. And I started selling from the moment I opened up my mouth. I saw every guest as an opportunity to feed them, take care of them and make sure they left happy and knowing my name. My biggest sell after wine and martinis straight up, was appetizers. And the king of all the appetizers: the Antipasti Platter. An antipasti platter is translated from Italian to “Before Meal”. Meaning this is what you consume before actually eating your…meal. 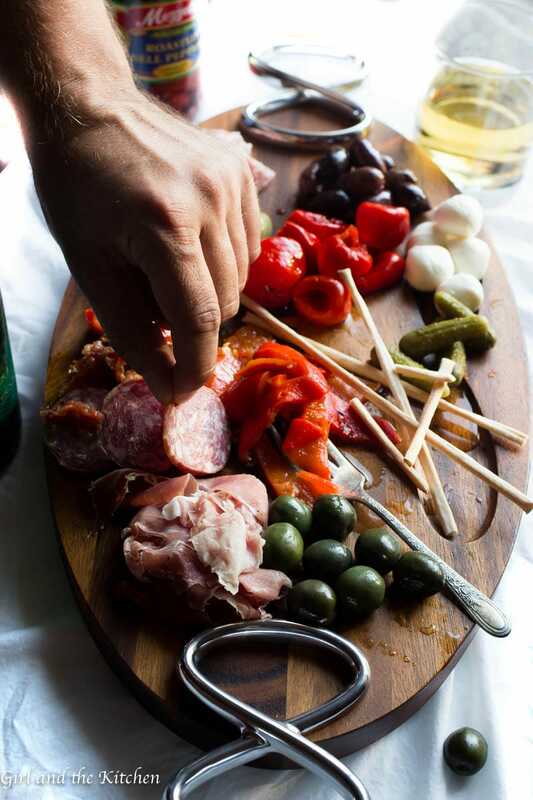 It’s a beautiful layout of different meats, cheeses, olives, peppers and any other means of transporting those delicious bits from plate to mouth. The antipasti platter always looked very impressive and meticulously plated and received plenty of “oooh’s and ahhh’s” from the awaiting guests. Throughout the years, I have made many of my own antipasti platters and all of them received the same “oooh’s and ahhh’s”. And for a great deal less than what a restaurant will charge you but with all the glory. Friends, I am here to tell you that an antipasti platter is your chance to awaken your tired and old summer dinner tables and introduce new bits and bites that will keep your friends happy and full. 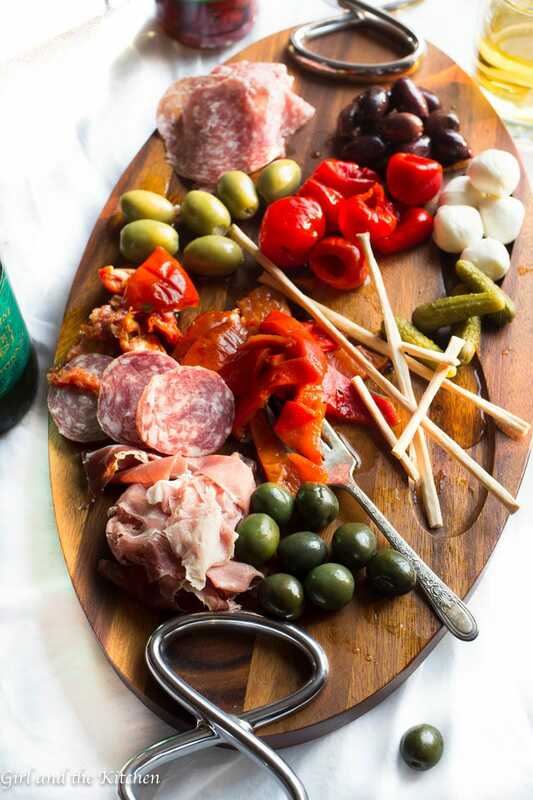 It’s easier than it looks and just requires a few different items placed on a board or a platter: pair some beautiful briny olives or marinated roasted peppers with a few cheeses and meats and you have a platter that will turn the typical BBQ into a dinner sensation. There are a few tips that I believe work well when putting together the ultimate antipasti platter. Combine several different flavors on one board. Briny olives, sweet red peppers, salty salami and prosciuttos and creamy cheeses. They all go well together or when eaten separately. Try and fill the platter with a lot of different colors. Those colors of green, red and white (coincidentally also the colors of the Italian flag) make everything look more alluring and inviting. 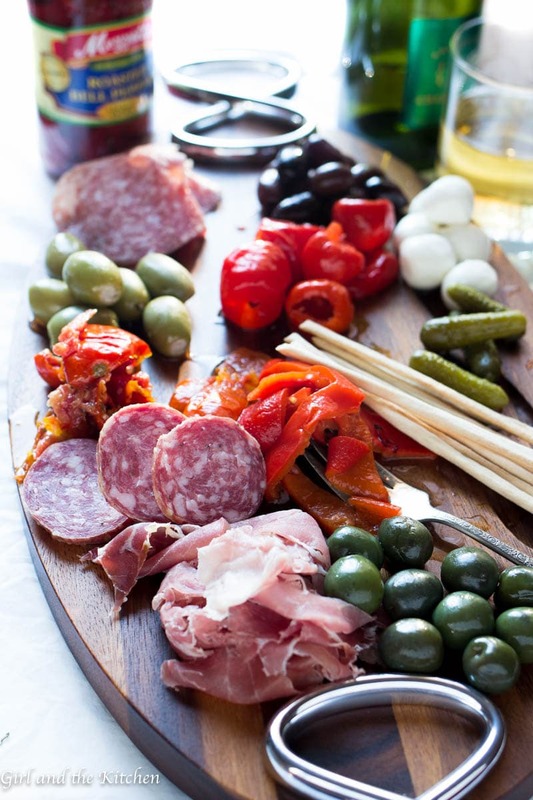 Some antipasti platters include mostly meats and cheeses with minimal olives and peppers. I personally enjoy more of the briny deliciousness such as the olives, cornichons (tiny little French pickles) and something crunchy like crostini or breadsticks to pair with the rest of the goodness. There are really no rules for an antipasti platter. My only personal rule is to not make it look too contrived. Make it look, as if it came together with ease and grace. And frankly it should. Don’t spend time too much time folding the deli meats or cubing the cheese. Just lay them out nicely on the board or platter in inviting heaps instead of contrived shapes. 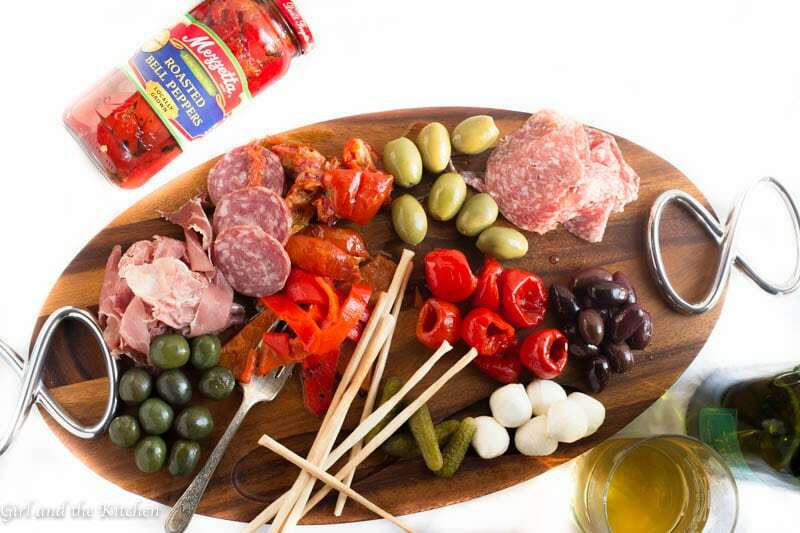 Most grocery stores nowadays have beautiful antipasti bars loaded with great olives, marinated tomatoes and imported condiments that will make your antipasti platter a star. Everything you see on this platter except the meats and the Mezzetta Deli Sliced Roasted Red Peppers was purchased at the antipasti bar. Make your life easy and take the help where you can. That’s it. Those are my top rules to making an incredible platter for your summer tables. This is different than your average chips and dip bowl, this is a classy yet approachable way to place all your favorite appetizers on one platter and allow your friends to munch and enjoy while you finish up some delicious treats for them on the grill. Beautiful photos, Mila! I love a great antipasti platter and you’ve certainly got everything covered! 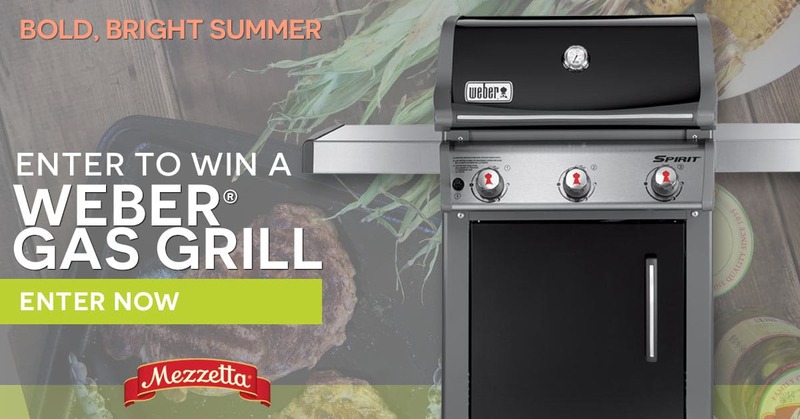 This is just perfect for parties, get-togethers, and the 4th! Just to say, Mila – my reasonably long and certainly pertinent comment seems to have disappeared into the ether . . . cannot find it: perchance you could be kind enough and check from your side 🙂 ! Yes, you’ve done it. An antipasti platter with about the sexiest anatomy I can imagine. 😉 Absolutely perfect for the holiday weekend or any celebration!